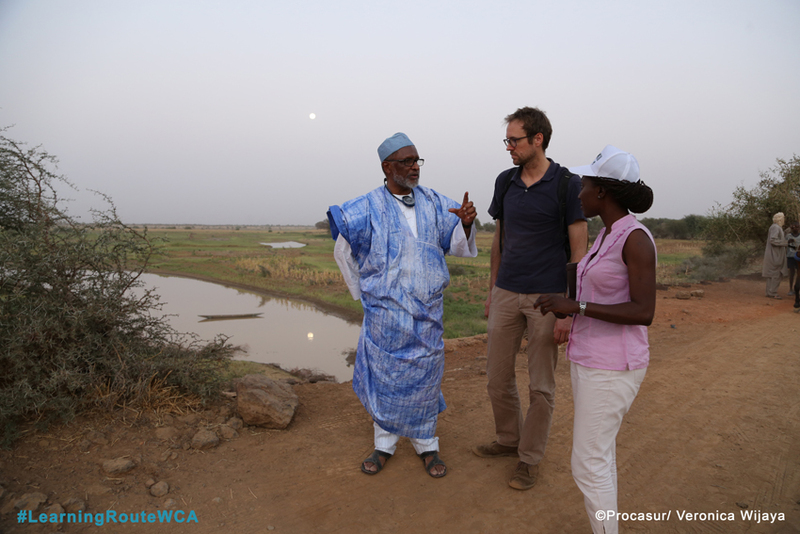 Land, water and irrigation schemes: What can we learn from Senegal and Mauritania? "It is important, when so much effort is being put into irrigation infrastructure and a lot of opportunities are created by a project, to make sure that people can actually benefit from it. We have built the infrastructure and are now aiming at maximizing the impact." This is what Doro Niang, one of the local champions of Maghama in Mauritania, said with regard to the use of land developed through an IFAD project. We met Doro Niang during the 10-day Learning Route on Securing Land and Water Rights in Senegal and Mauritania from 6 to 16 March 2017, orga-nized by Procasur with technical support from IPAR (Initiative Prospective Agricole et Rurale) under the IFAD grant project Strengthening Capacities and Tools to Scale Up and Disseminate Innovations. The importance of land and water in contributing to the increase of agricultural production, income, health and sustainable land use have separately been recognized, however, little is understood about their interface. The intricacies of land and water governance are only beginning to be understood. Securing access by rural poor people to land and water rights is key to reducing extreme poverty and hunger, since land and water are among the most important assets that poor rural women and men have. Procusar took up the challenging task to organize a Learning Route with 22 participants from 9 countries (Burkina Faso, The Gambia, Malawi, Mauritania, Mozambique, Niger, Nigeria, Senegal and Sierra Leone), crossing the border, and thus the river Senegal twice, travelling 1.800 km by bus and car, giving us the possibility to meet with 250 crop and livestock farmers, project coordinators and local champions, translating at times into four different languages. The participants, mainly IFAD supported project and government staff, and the team of the Learning Route, made up of Procasur, IPAR and IFAD staff, met up on 6 March in the IFAD office in Dakar for the kick-off workshop, already having in mind the three objectives of the learning experience: Besides learning more about the methodology of the Learning Route, the participants, all working in the field of land and water governance, also shared their previous experience in the thematic areas, the issues their projects are dealing with and the learning needs and objectives they had identified for themselves. The POAS, which development are undertaken in an inclusive and participatory way, identify land use zones, giving priority to activities without excluding others (residential zones, pastoral zones, agro-pastoral zones etc.) The plans essentially consist of rules governing the management of space and natural resources, an organizational framework for decision-making and M&E, and mapping tools. The POAS are legally binding and can be enforced. The SIF is a set of principles governing the collection, processing, use and storage of data on the occupation of public land, which informs decision-making. It allows to document three dimensions of land tenure: "who? and how?" by carrying out socio-economic land tenure surveys; “where?" by mapping and a plot numbering strategy. The system is made up of registration procedures, a land allocation map, land administration forms, a register with requests for land allocations, a land regis-ter, and can be managed autonomously by the local authority. Beyond land allocations management, the SIF coupled with the POAS allows a gradual improvement of local territorial and land policy, through a clarification of geographic and land tenure information. 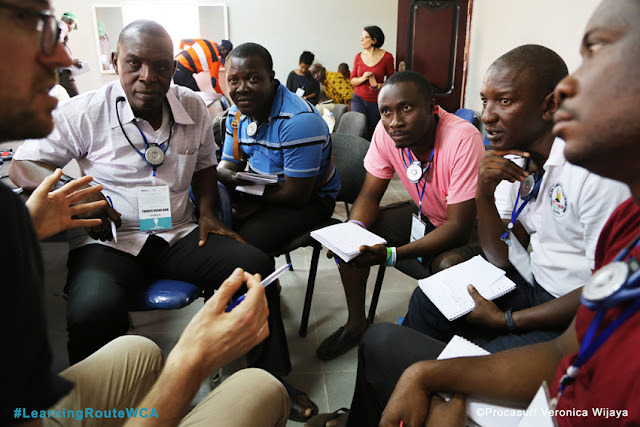 The inclusive and participatory approaches used by the community of Diama foster good local governance, democratic processes and representative decision-making. After having spent a very interesting day and a half in Diama, including delicious local food, dance performances and a theatre play by the local youth to celebrate the International Women's day on 8 March, our next destination was Maghama in Mauritania. Our drive took us from Rosso to Kaedi where we spent the night, and allowed for a short stop-over and half-day workshop in M'bout and PASK II where we learnt about the challenges faced when developing land agreements (entente fonciere). The land agreements there are social agreements and are not legally binding: through a territory-centred approach and a consultative process, groups of producers agree on the use of the land. The many hours of driving finally brought us to Maghama, where we were overwhelmed by the welcoming and hospitality of the local community. 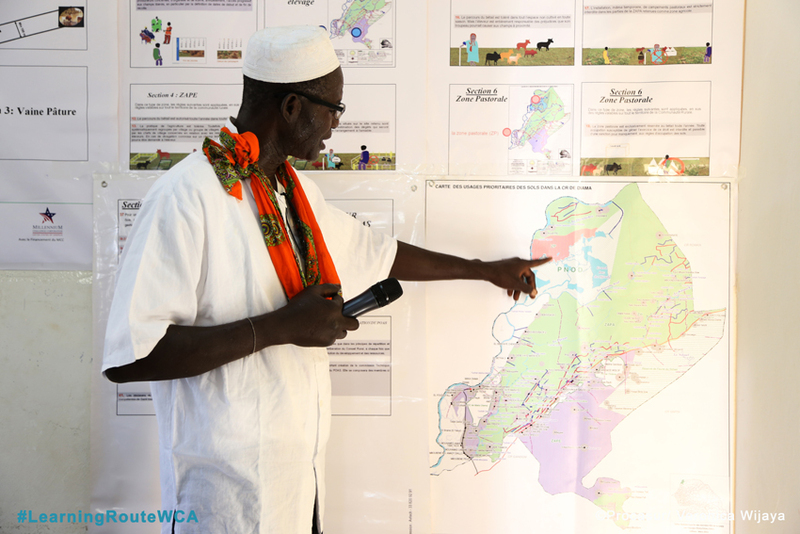 When the IFAD-supported Maghama Improved Flood Recession Farming Project (PACDM) (2002 – 2009) was being designed in the 1990's, it was noted that families with a weak status in the in the community would not have been able to access and benefit from the 9000 ha of land that were to be developed. This is why IFAD made the establishment of the entente fonciere, the land agree-ment, a pre-requisite for its funding. The agreement that was then developed in a long consultative process is based on three key principles: justice, solidarity and efficiency. What was interesting for all participants was the establishment of the National Coordination, an informal body with representatives of all villages in the Walo (flood recession farming area). Those representatives were natives from the villages, but resided in the capital. Their role was to facilitate the negotiation phase of the agreement while also defending the interests of the beneficiaries during the period of drafting and signing the protocols of the agreement with the State. Not only the learning opportunity was unique in Maghama – far away from hotels and guesthouses we had the chance the live with the community for three days, stay in people's houses, eat delicious food and enjoy an evening of theatre and music performances. Another drive and adventurous boat ride took us then to our last stop in Matam, and thus back to Senegal. 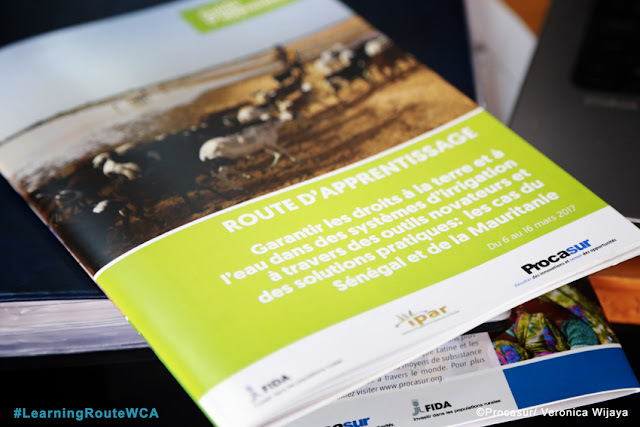 The Agricultural development project of Matam (PRODAM) in Senegal is supported by the West African Development Bank (scaling up of former IFAD-supported project (2003 – 2011)). PRODAM contributed to improving land tenure security by supporting the one household, one hec-tare-principle for allocation of land in village irrigation schemes and the establishment of pastoral units responsible for the management of pastoral resources. In order to guarantee land access in the irrigated areas to returnees and dispossessed people, PRODAM facilitated a regrouping and redistribution of land amongst all families effectively living in the village. Each household could receive only one irrigated plot of up to one hectare, the size of which was calculated on the basis of their operating capacity. By facilitating access to land for returnees and dispossessed people the project hoped to improve their socio-economic situation. Special attention was also given to ensure that also women were recognised as land owners. PRODAM has also supported pastoral units to ensure good rangeland management, improve access to water and reduce pressure on the grazing lands. A pastoral unit is made up of a group of localities that - given their economic interests, historical ties and physical proximity - share the same pastoral and agricultural areas and use the same water points. 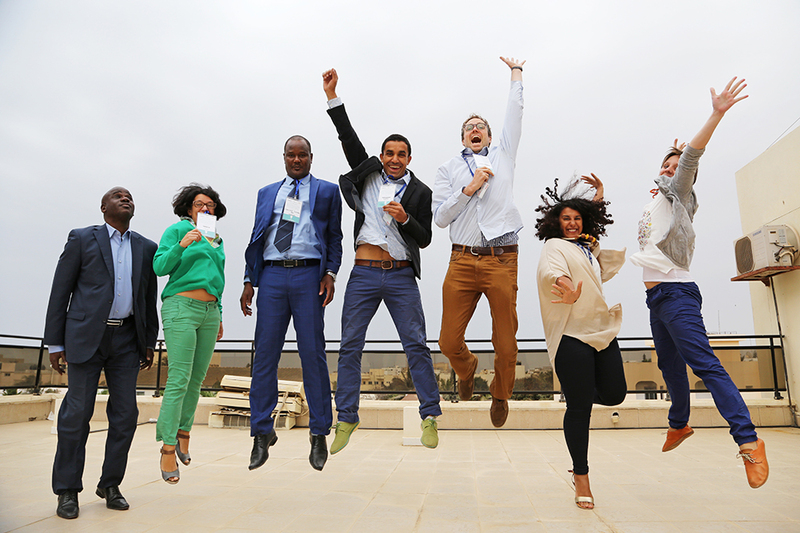 Once back in Dakar we spent one last day together in the IFAD office, holding a wrap-up workshop. This very instructive learning experience left us with some main conclusions: In many cases, water rights become operationalized through user organizations. 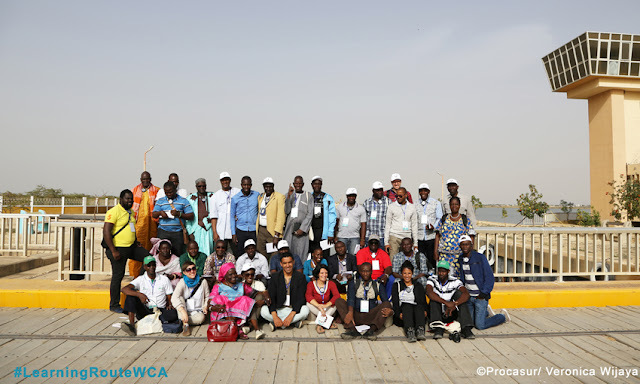 Ensuring that women, smallholders, livestock keepers, or other poor and marginalized water users are represented in these organizations is an important step to strengthening their water rights. However this is often difficult because of overt resistance from those who do not want to share water rights and decision-making, or because of social challenges of including marginalized groups in local organizations. With irrigation becoming an increasingly private investment, access to capital becomes a determining factor for access to water and land for vulnerable groups. Participants from Nigeria and Sierra Leone are discussing the take-aways from the Maghama case. Officially-recognized rights help ensure that their holders have a “seat at the table” in discussions about further water development or land use changes that may impinge on their rights. Joint plan-ning and modelling of water resource development with government agencies and different user groups helps to put this into practice, but it may require strengthening the capacity of both the agencies and the users. There is no single, optimal property right system for irrigations systems—in developing countries or elsewhere. Rather, we need a range of options and the understanding necessary to be able to tailor them to their (ever-changing) physical and institutional context. This, however, requires that enough time is dedicated to understanding the local context and reaching a consensus through an open and inclusive dialogue. During the learning journey the participants had worked on their own innovation plans, aimed at replicating innovations in their country/organizations/projects, and the last day provided the space to present the first drafts of these plans and to give a first round of peer-to-peer feed-back. 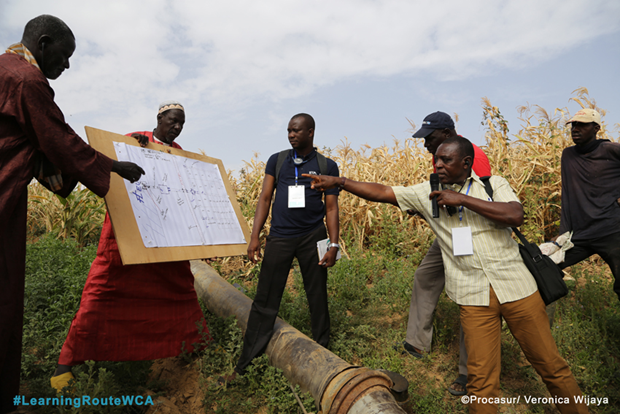 It is important to put enough effort in projects dealing with land and water issues in irrigation schemes into joint planning and modelling of water resource development, promoting more equitable access to water and irrigated land, addressing the issue of access to capital. At the same time we should step up our efforts of documenting and sharing the experiences of IFAD-supported projects in dealing with land issues. This Learning Route and a paper written on the three cases for the 2017 World Bank Conference on Land and Poverty are a first step in the right direction. The end of the Learning Route left all participants tired but satisfied and inspired. It is now up to all of us to capitalize on this experience and support the implementation of the ambitious innovation plans. 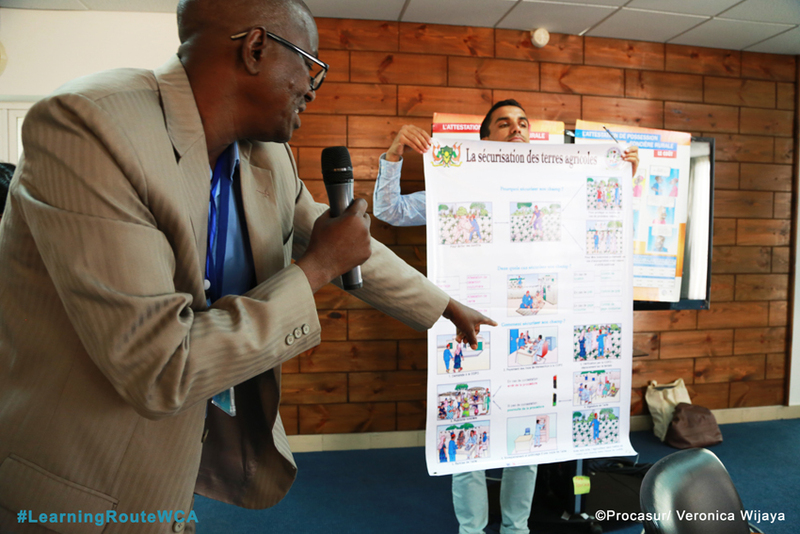 And since after the game is before the game, Procasur and IFAD are already starting to think about the next Learning Route on land tenure – we'll let you know more about it soon.